What if every child in America had a magic wand that could eradicate the most common chronic untreated disease? That’s the goal of our Smile Drive Program. Watch the video below to learn more. 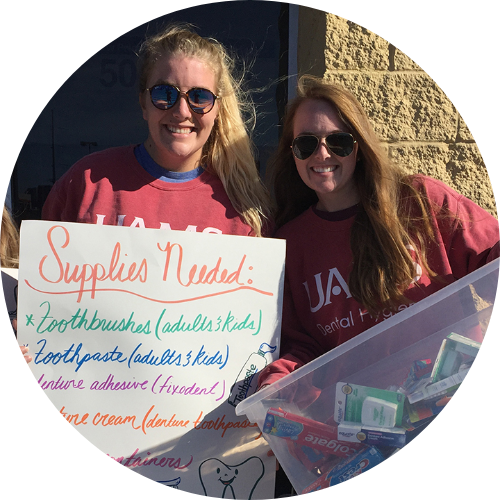 oral care products to families in need! Register for a Smile Drive here. Report Donations from a recent Smile Drive Event. If hosting a Smile Drive is not possible, you can still help! For every dollar donated to our Toothbrush Fund, we will receive approximately four toothbrushes! Or place a bulk order with our partner SmileMakers and have them shipped to our address: 4108 Park Road, Charlotte, NC 28209. Learn more about Smile Drive Charlotte!